Admit it, you still get a chill when you think back to the urban legends of your youth. Every child hears the stories: masked maniacs, ghosts, alien abductions. And they all must be true, because they totally happened to a friend of a friend’s cousin’s girlfriend. Why would you need more proof than that? Is there anything creepier than a dead bride? Apparently not, because stories of these tragic ladies crop up all over the world. On Suscan Road in Pennsylvania, under what used to be called the Susquehanna Railroad Bridge, yet another of these legends has taken hold. According to many locals, if you drive onto the bridge, turn off your car, put the keys on the roof, and wait, you will be able to see the Suscan Screamer in your rearview mirror. Bigfoot-like encounters are also allegedly common in the region. Maybe someone should ask the dead bride if she’s seen anything suspicious the next time she pops into their backseat. Now that is a bit unusual. What could this enigmatic statement mean? Is it some kind of accusation, made by the believers in one of the most religious cities in the nation? Could she have been sacrificed by a Satanic cult? 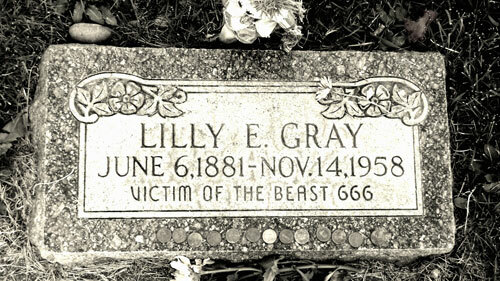 Was she a devil worshiper herself? An innocent woman punished in a Salem-style witch hunt? Those are only some of the rumors intrigued citizens have come up with to explain it. Of course, there are always those who have to come along and ruin the fun. It looks like the inscription was commissioned by the woman’s paranoid, anti-government husband, who blamed the police for her death. It is hard to say whether that makes the whole thing less creepy, or more so. Golden Gate Park in San Francisco, California is pretty well-known for its paranormal stories. If you believe locals, it is so full of spirits that you run the risk of crashing straight into one while jogging. They might as well rename it “No One Is Alive Here Park.” But one ghost story has been the most popular and circulated, ever since it appeared in the San Francisco Chronicle on January 6, 1908. That’s the story of the Ghost of Stow Lake. The legends always claim this woman was a mother who lost a child, or else killed her child and then herself. America seems to be full of women offing themselves and their offspring. Bobby Mackey’s Music World is a popular honky-tonk bar in Wilder, Kentucky, owned by country singer Bobby Mackey. There are three associated urban legends that have become so popular they are now considered a selling point for the establishment. The first is that there is an actual portal to Hell located in the Well Room, which allows demons to come into our realm. It isn’t clear why they would want to. Maybe they are really into country ballads and overpriced beer. As for the two other stories, they are more traditional hauntings. First, you have Pearl Bryan, a real pregnant woman who was found decapitated in the late 19th century. Her lover Scott Jackson and his friend Alonzo Walling were hanged for her murder. Second is the legend of a woman named Johanna, who is said to have fallen in love with a singer at a club that used to exist behind Music World. Her angry father supposedly hanged her lover in his dressing room, leading her to poison herself in retribution. 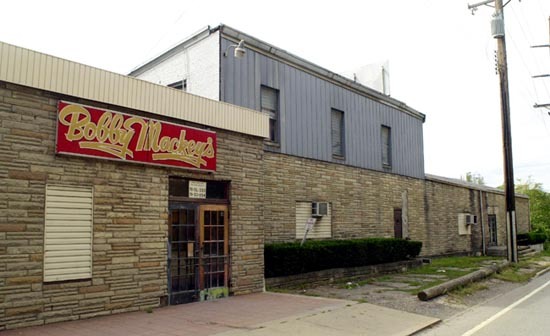 Bobby Mackey wrote a song about the incident, which strongly suggests she is still haunting his bar. In Houston, Texas, cultural memories of the Civil War have sparked numerous urban legends. 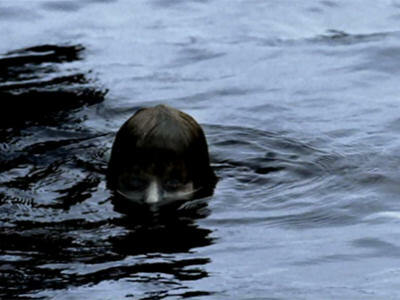 One of the creepiest is centered around Patterson Road, located near Highway Six. The claims here tend to differ, depending on whom you ask. 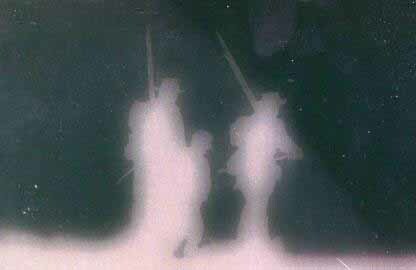 However, everyone agrees that the ghosts involved were Civil War soldiers. Because, as we all know, every bit of land someone from that period walked across has become a ghostly hot spot by default. Believers say that if you go onto the Langham Creek Bridge on Patterson at night and park your car with the lights off, you will hear tapping or see a mist surround your car. More skeptical locals will point out that parking your car with your lights off on a busy bridge is a good way to become a ghost yourself. Some urban legends are created by adults who want to scare their kids into behaving. Anyone who grew up with Mexican parents will be well used to this method, and probably still feel a deep-seated fear of El Cucuy. Other stories are more likely to have been made up by your jerk older brother who wants to freak you out. Such is the case of the Goatman of Beltsville, Maryland. Who is the Goatman? There is no official story, but most claim a scientist at the Beltsville Agricultural Research Center did experiments on goats. This somehow led to him actually becoming part goat, a kind of animal-human hybrid. He is said to roam the backwoods of Fletchertown Road, attacking people and cars with his axe. 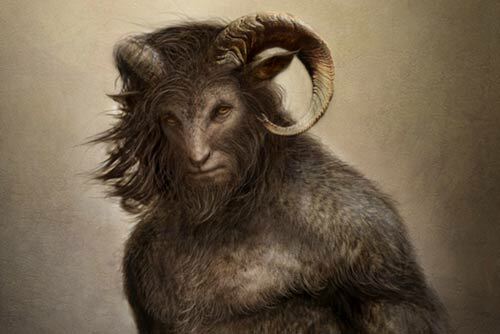 Why a scientist-turned-goatman would carry an axe isn’t explained. In the 1730s, German immigrants in Fredrick County, Maryland claimed to have encountered a terrifying creature. Shortly after founding their town, the residents began reporting sightings of a beast that was half-bird, half-reptile, with a beak made of metal with razor-sharp teeth. It also sported tentacles like an octopus that it used to seize people and carry them away, presumably to feed to its bird-lizard-robot-squid babies. When you first hear this story, not to mention the creature’s moniker of “the Snallygaster,” it is easy to scoff. But the plot thickened a bit for residents when sightings of these creatures were reported everywhere from New Jersey to Ohio. Of course, “sightings reported” and “hard evidence” are worlds apart, but we aren’t going to nitpick. This is one of the few stories on this list that can be traced back to a real person, including the more frightening details. 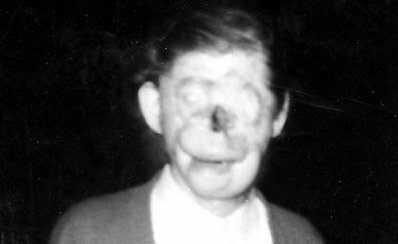 In Koppel, Pennsylvania, it became common to see a horribly disfigured man walking down the darkened streets at night. He was given the name Charlie No-Face, or Green Man, and everyone had their own story of sighting him. That’s because he was 100 percent real. Born Raymond Robinson in 1910, at the age of eight he was trying to view a bird’s nest on Morado Bridge when there was an accident. He touched a power line, which electrocuted him, causing horrific facial injuries that never properly healed. Because his appearance tended to cause panic and make babies cry, he spent most of his 74 years hiding out in his home with his family. But at night he would make the streets his own, taking long walks when people were less likely to see him. Obviously, this didn’t work all the time. Hence he became a living urban legend in his town, where some people used to drive around all night hoping to catch a glimpse. Quitman, Arkansas is one of those areas that is filled with ghost stories. Most of the older houses seem to have a spirit attached, so it would take a lot for a legend stand out from the crowd. But the tale that has managed to claw its way to the top is the legend of Dog Boy. In 1954, Gerald Floyd Bettis was born to Floyd and Alline Bettis in what has since been named the Bettis House. Those who knew him claim he used to catch dogs and cats and keep them in his home as a young boy. But he wasn’t playing veterinarian. Instead, he would horribly torture and kill the creatures. But what he is really known for is his treatment of his parents. 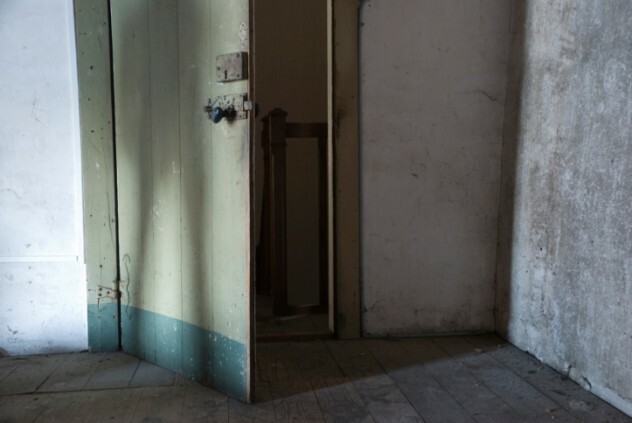 The story goes that he imprisoned them in the attic, keeping them there for years. According to police reports, he did abuse his parents quite badly, but wasn’t arrested for it until after the death of his father and the continued abuse of his mother. He died in prison of a drug overdose. Since then, people have claimed that paranormal activity is common in the house. Flickering lights, strange noises, and moving objects have all been reported. Considering Bettis once threw his father out of a window, that seems to be getting off relatively light in the haunting department. 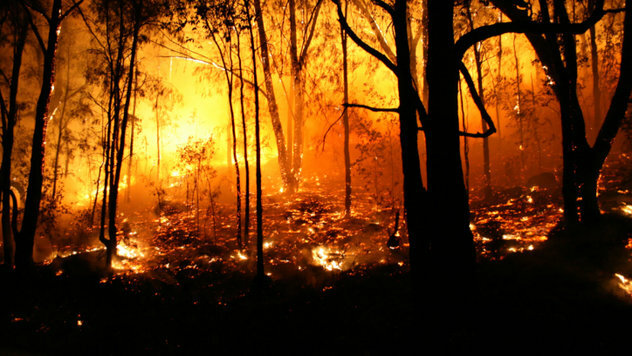 There are several versions of Char-Man’s origin, but they all begin with a wildfire that occurred in the park in 1948. The main story goes that a father and son were caught in the blaze and the older man was killed. But the son survived, and when a rescue team arrived they found that he had strung up his father and pulled off his skin. He then disappeared into the woods. Another story makes the victims a husband and wife, claiming that the man went mad as he lay trapped and injured in the fire, unable to aid his wife, who was screaming for his help. Either way, it is said that if you drive onto a bridge located in the park and get out of your car, Char-Man will come. The horribly burned man will run at you and attack, trying to tear off your skin—perhaps to take as his own. Olivia Anderson is a freelance writer and horror junkie living in Salt Lake City, Utah. She can be contacted by email here, or you can check out her (not at all creepy) vegetarian blog at thewannabeveggie.com.